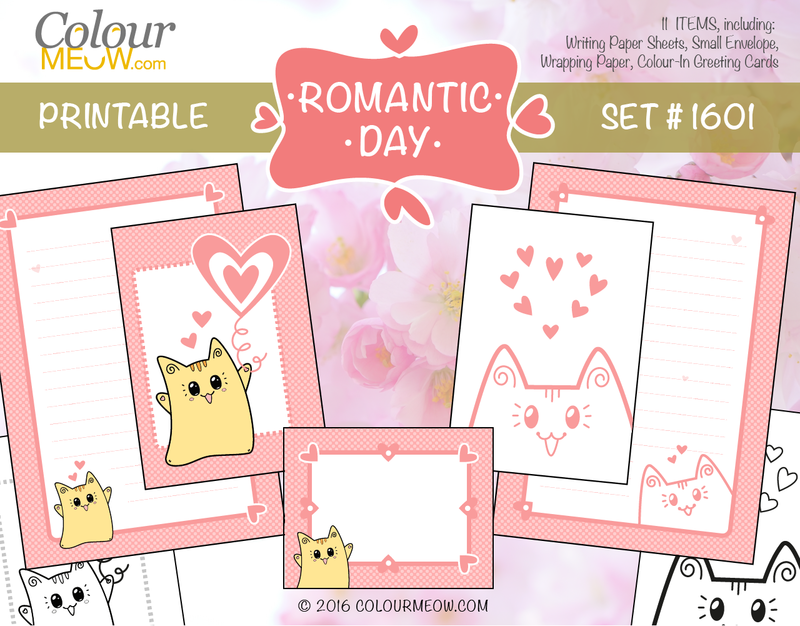 Dive into the world of cute cats, adorable colouring pictures, and kawaii writing paper! 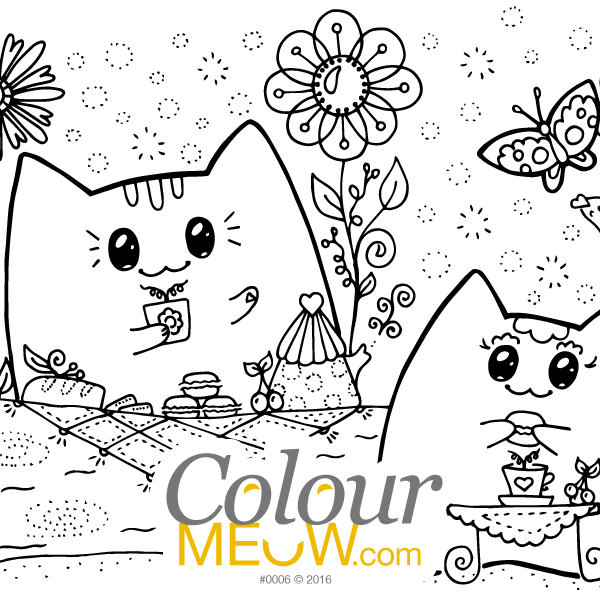 Get your colouring and planning cat page now, so it’s ready for you to colour in, your scrapbooking project, and for the planning/writing time! Click on the drawing preview to see a larger picture. The logotype watermark will not appear on the purchased picture. ColourMeowTM is a brand of Ozzi Cat. Your purchase will be processed via Ozzi Cat’s PayPal account. 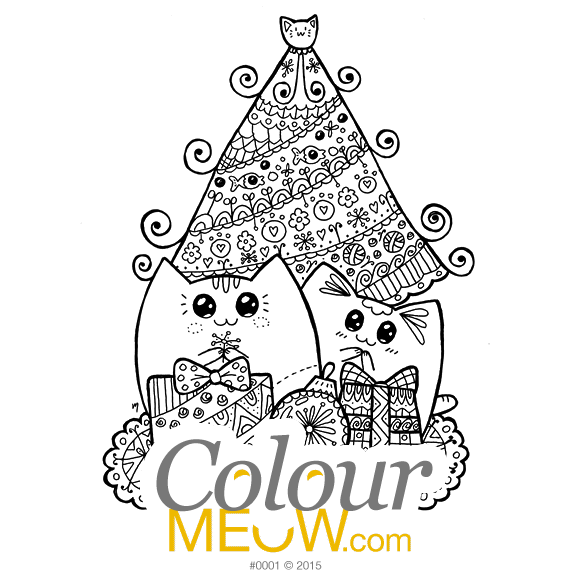 To get a cat colouring page – click the “Buy Now” button. Once the payment is complete, you will receive a ready-to-colour drawing as a PDF file by email. If you don’t see the email, please check the spam folder. If you purchased a physical product, it will be processes and shipped as soon as possible. Happy colouring! I would love to see your finished colouring and how you used the cat drawing! Please share with me. Open the PDF file with the cat colouring page. Select the “Print…” option. For the best results, go to the Page Size menu and create a Custom Page Size. Set the Custom Page Size to an “A4″ (210x297mm) and set all page margins to zero (so the page prints with no or little white border). Save and print. For the best results: For a simple colouring-in, use 200-300gsm paper (e.g. Color Copy A4 Paper 200gsm). For mounting on a wall as a poster or for framing, use cardstock of 300-350gsm or thicker (e.g. Color Copy A4 Paper 300gsm). You can laminate your coloured picture (use A4 laminating pouches) and hang it on a wall using Bostik Blu-Tack, Magic Sticky Tape, or 3M COMMAND Hanging Tabs. Open the PDF file. Select Print. Set “Page Size” to A4. Ideally, set page borders (margins / white space) to zero or to the least possible number your printer allows you set it to. “Scale” should be set to NONE, otherwise the finished (cut) page might be of the different size than expected. Alternatively, try to set the “Scale” setting to “Fit” and see if it works better with your printer. All digital files are for personal non-commercial use only. You can print as many copies as needed for yourself or a group. You can NOT re-sell or re-distribute the file, nor sell items made using the picture in the file. If unsure or for using for making money, contact us.